Nothing is worse than biting into a nice crispy pickle to find out that it's not nice and crispy or not the flavor you like! Personally, I do not like butter pickles at all. My pickles have to be crispy dill pickles! There's nothing better. Last year was my first year canning. I grew up with my mom and aunts all canning, pickling, preserving ... the whole nine yards so it wasn't a foreign thing to me but now, I was on my own. Some things turned out and some didn't, but I learned a lot so just be brave and dive in ... it's easier than you think! I'm not going to lie, I'm still a little scared of the pressure cooker so I stick to the hot water bath method! This year, I am canning with confidence and having so much fun. The main difference from last year to this year is I have my aunt's recipe. Thank you Aunt Chris, your pickles are always the best! Last year she canned over 500 jars of different fruits and vegetables! We'll just say she knows what she's doing. 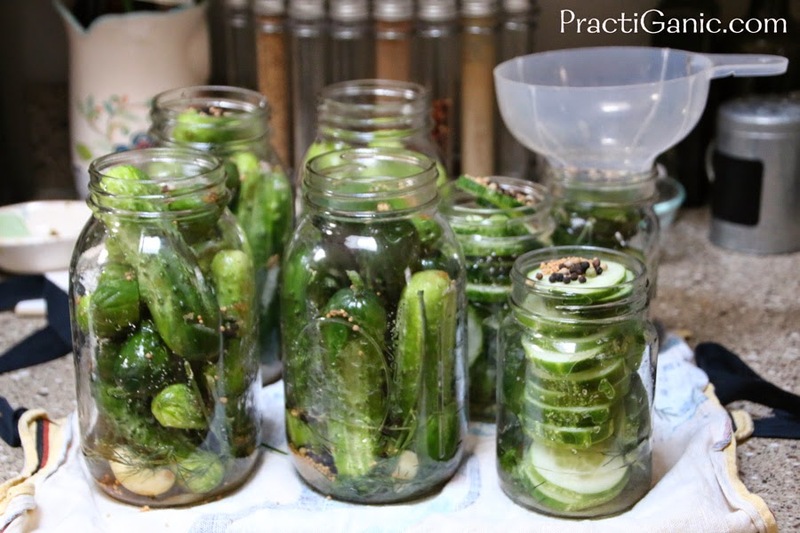 Almost every recipe that I have ever seen tells you to boil your brine then add it to your pickles. When I was reading her recipe, I was surprised to see a different method. 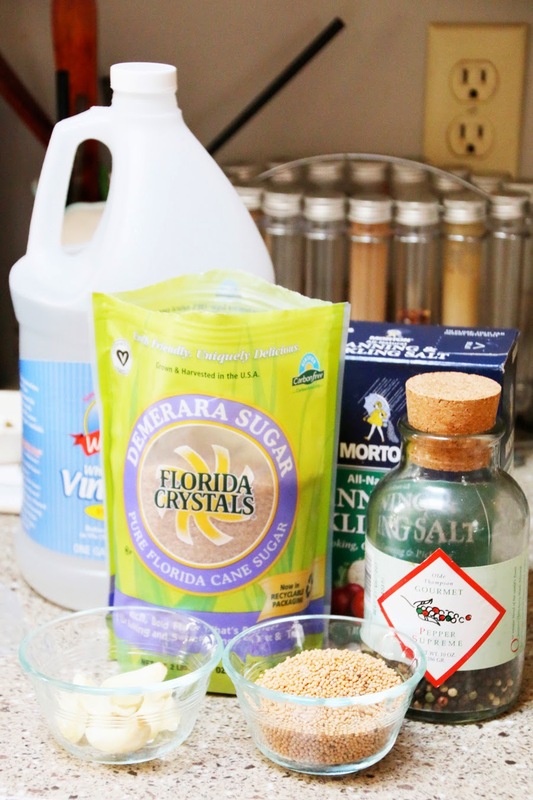 With her method, you add all of the ingredients to your jar and just add boiling water! Easy peasy!! Her method is now my method and I hope yours too! The most important thing I have learned is you must use canning salt. Don't try sea salt, kosher salt or any other of your favorite salts! I am one for always trying new ways of doing things or adding an extra ingredient or two but canning salt is the way to go, tried and true method ... don't stray from this one! 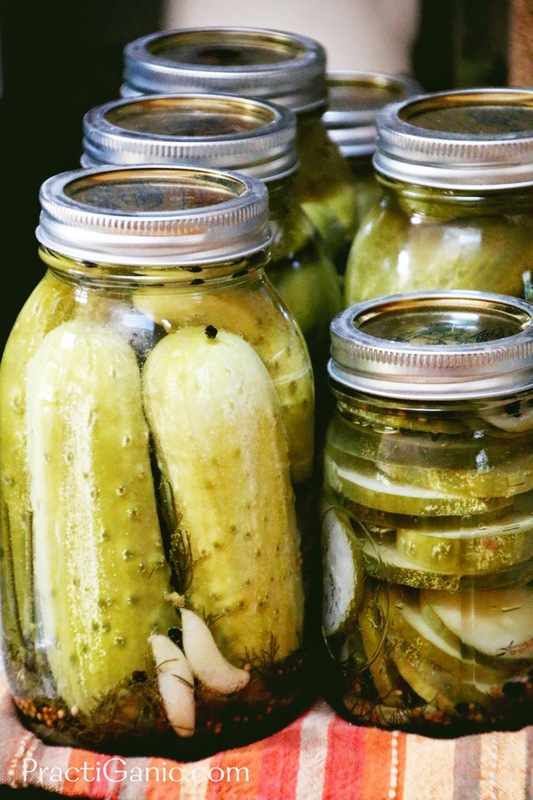 Pack clean and sterile jars with dill, garlic, salt, sugar, vinegar, dill, peppercorns and mustard seed. Next, pack in the cucumbers ... tightly but without damaging or squishing them. Next add boiling water (not soft water) to a 1/2 inch from the top of the jar. 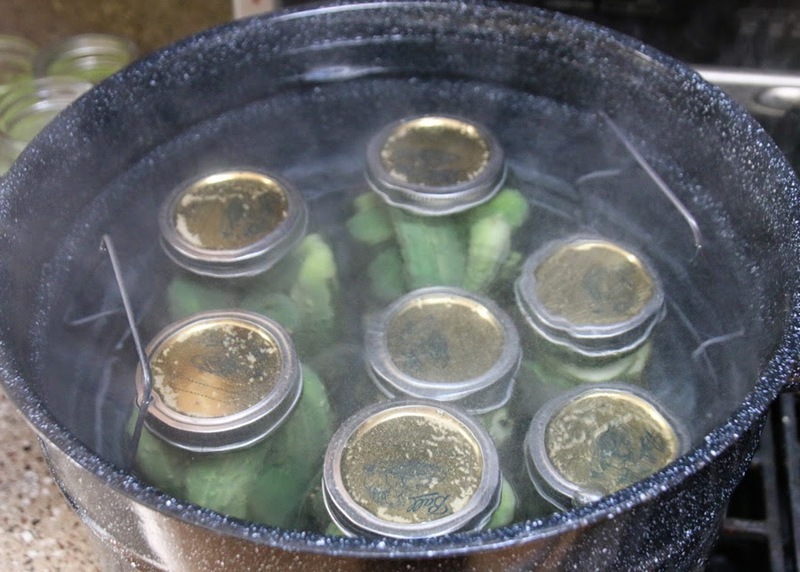 Clean the rims of the jars then add lids and rings. Process in a boiling water bath for 20 minutes. If you press the middle of the lid, it should have gone in, this means that they have sealed. 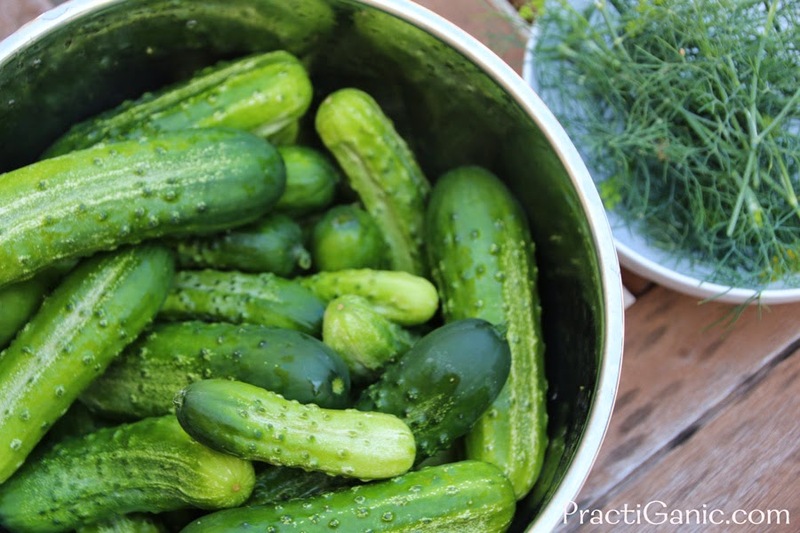 Store your pickles and get ready to eat them in 3 weeks!